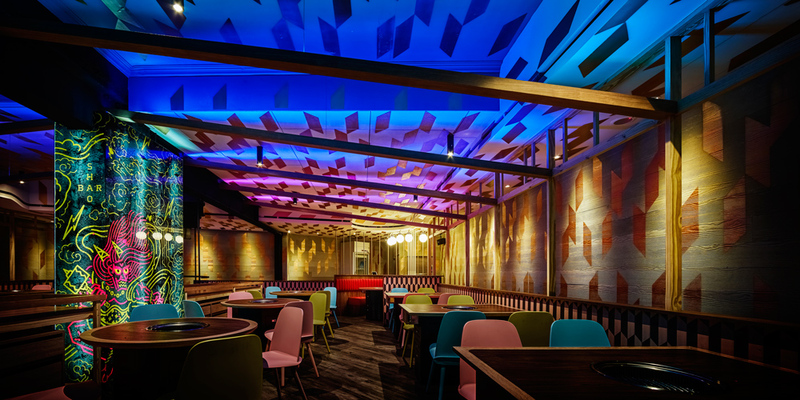 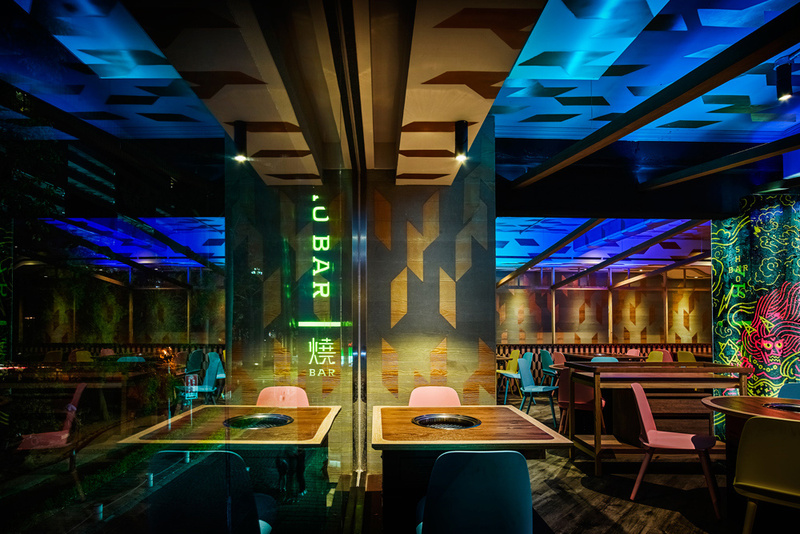 Shao Bar is a brand new BBQ restaurant located in the center of Xinzhu. 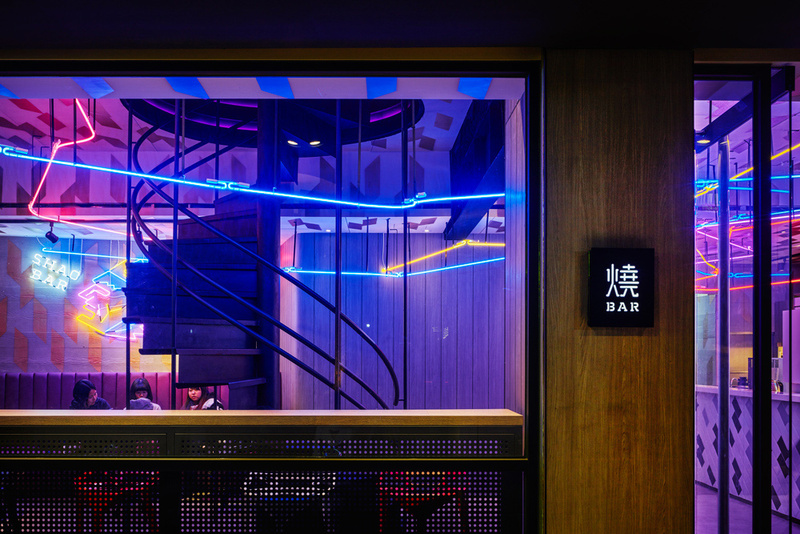 The local pleasant cheers and a strong sense of humanity are the essence of the brand, corresponding to the unique Taiwanese barbecue culture. 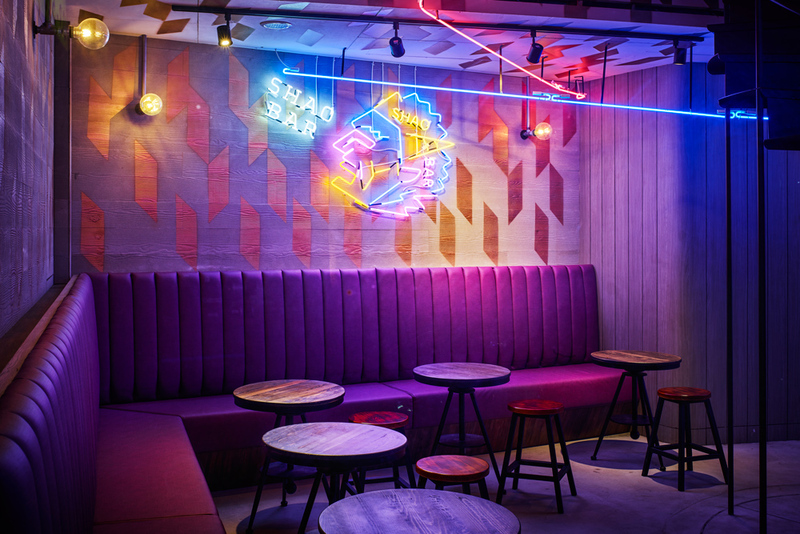 Shao Bar is not only a grill restaurant, but also an energy-filled pig out place. 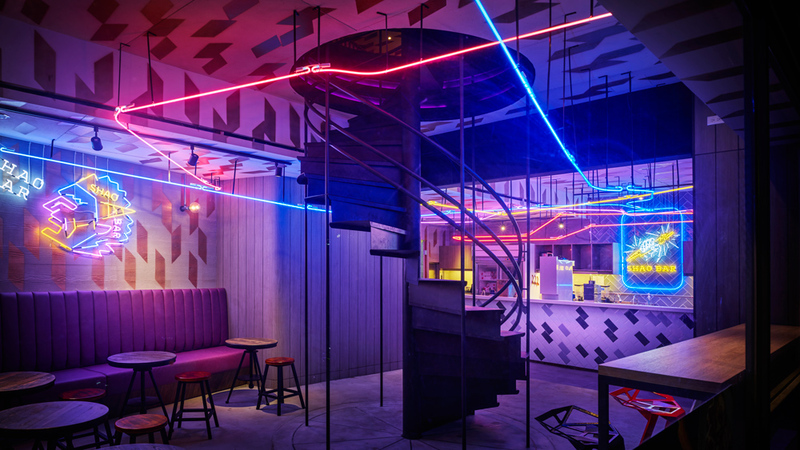 In the midst of the crowd, the lively and prosperous atmosphere surges the deepest appetite of the stomach, immersing the belly desire in the vulgar color of neon lamps through the darkest but clamorous night time. 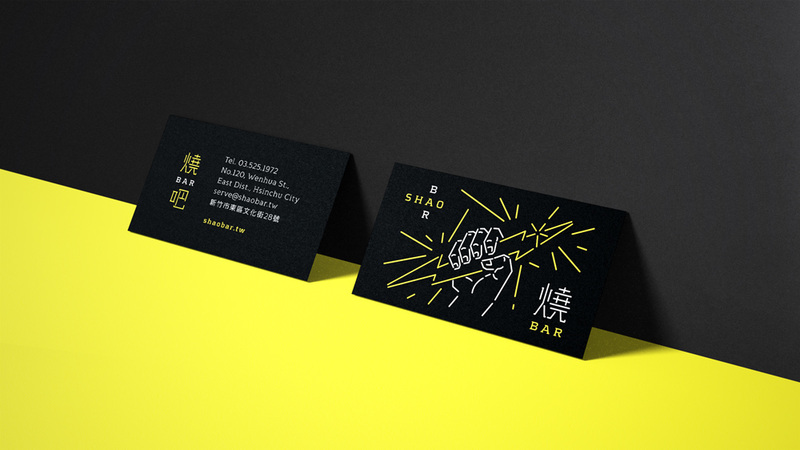 Shao Bar services the richest grilled meat to open the lock of mouth, through the most authentic cuisine to make a different sense of rock and roll! 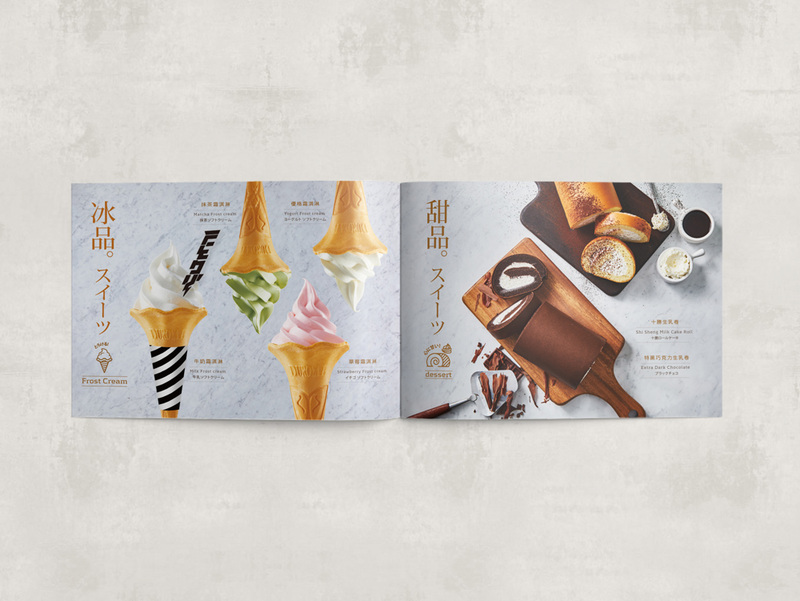 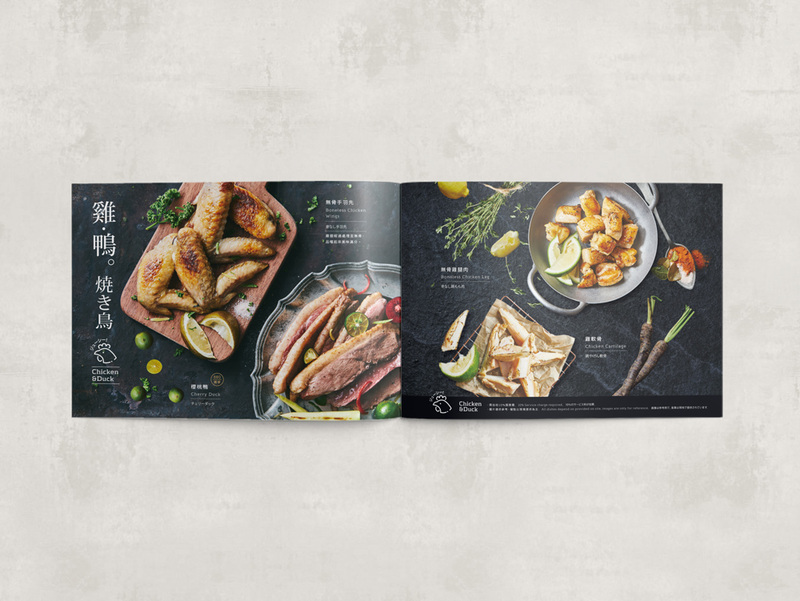 Compared with the all-you-can-eat buffet strategy, the brand takes the idea of “no waste of food” as the point of difference applying on visual language. 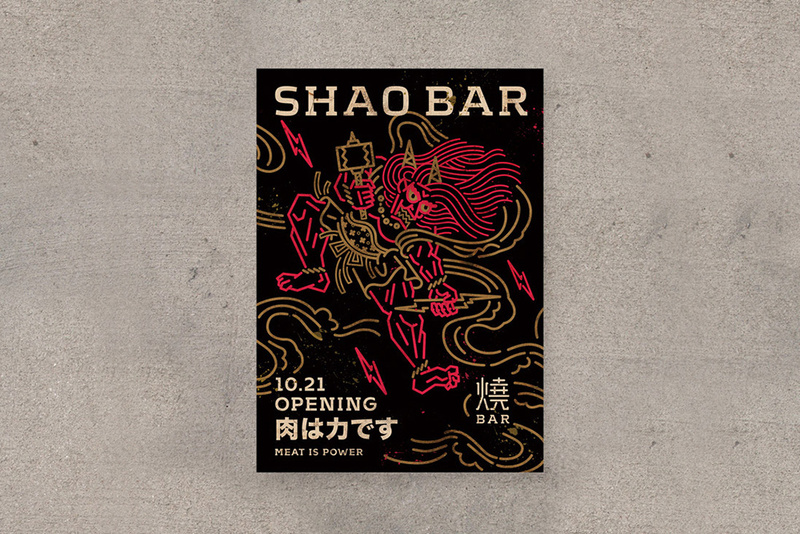 There is a traditional folklore in Taiwan about God of thunder, punishing people who waste food, plays a leading role in the story of Shao Bar. 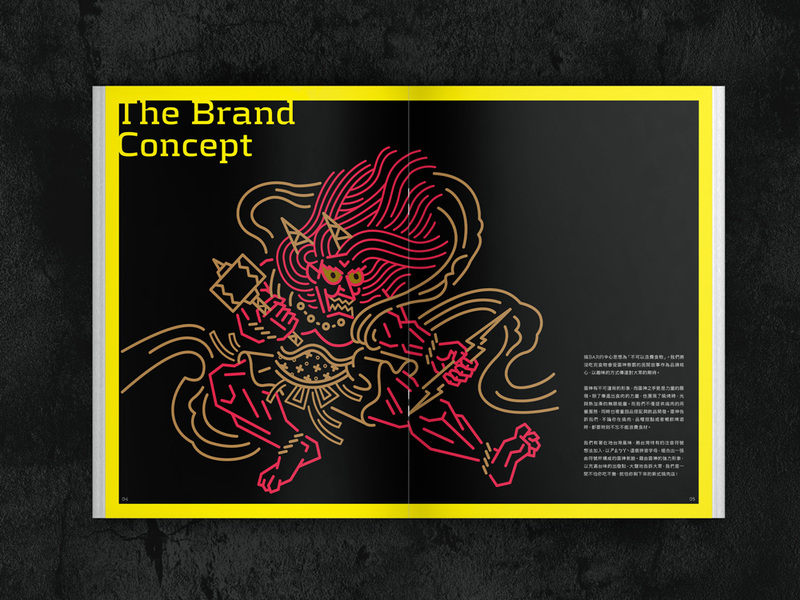 In addition to being an overpowering image, God of thunder is a symbol of strength, representing the carnivorous spirit and the time of jubilation. 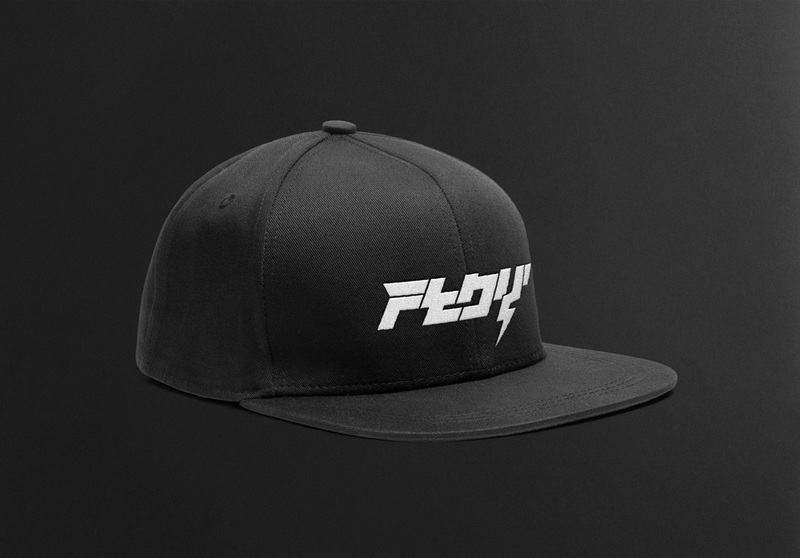 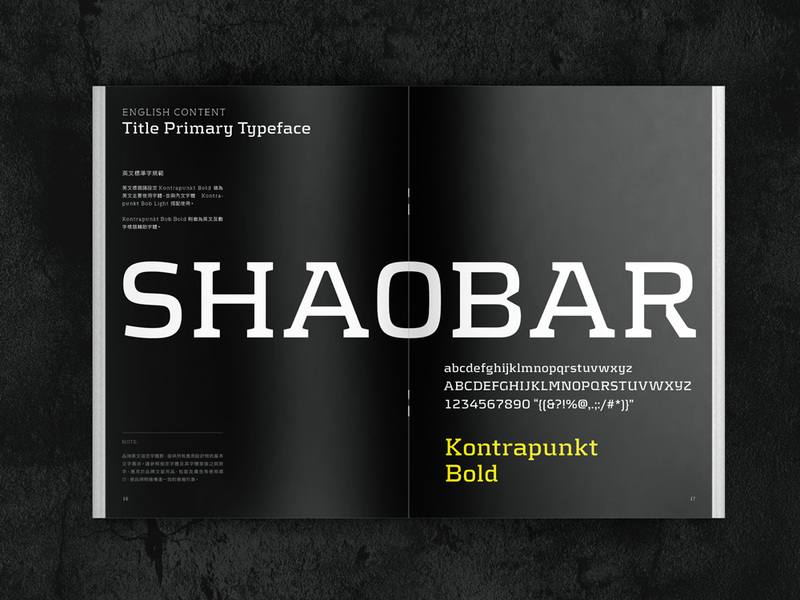 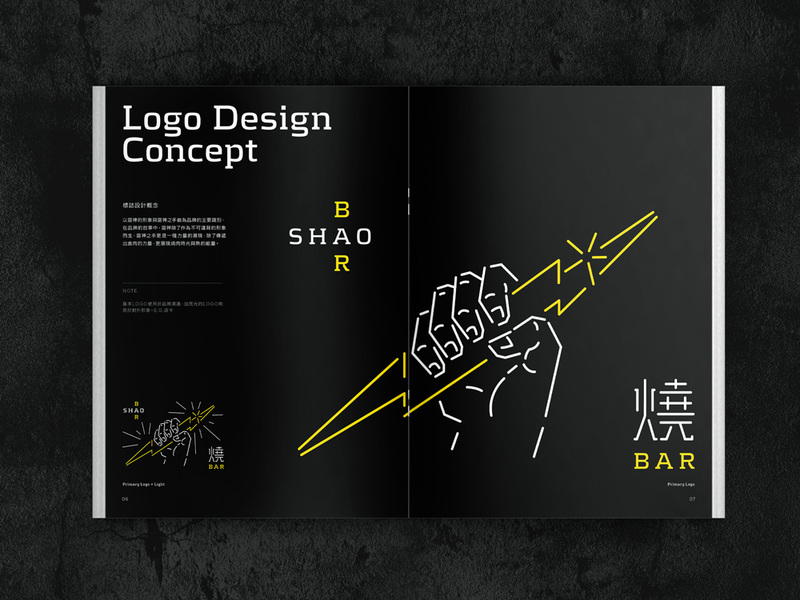 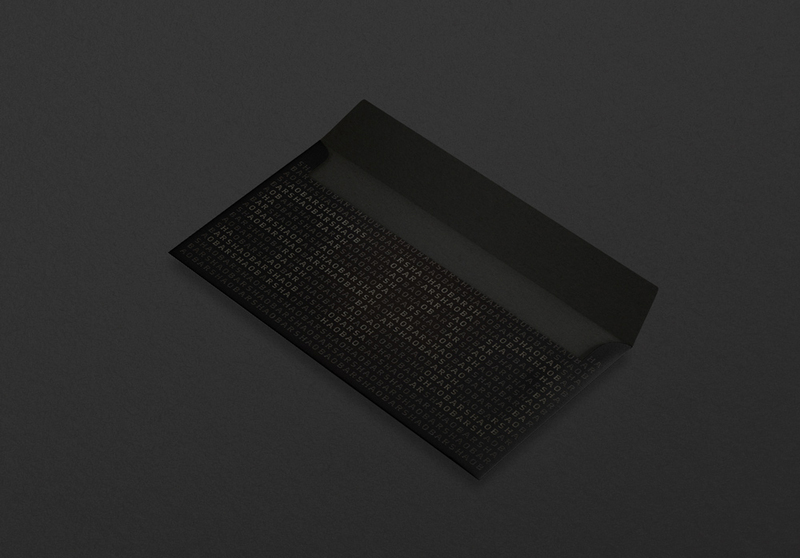 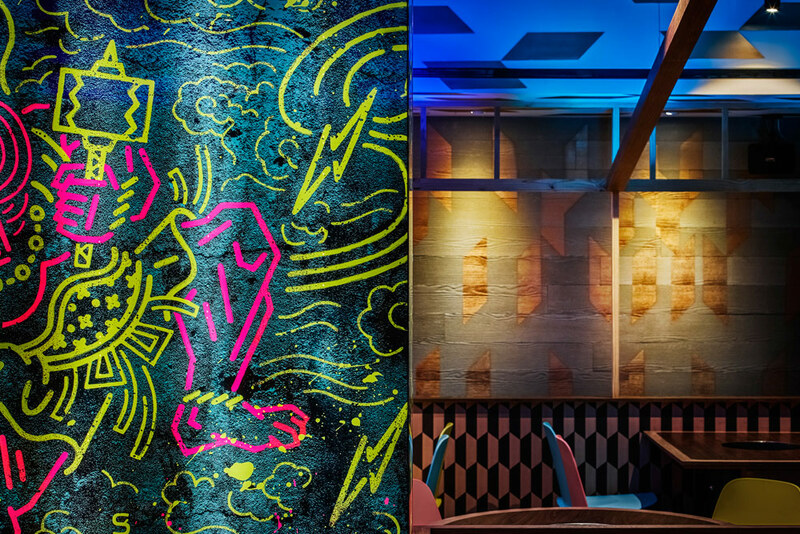 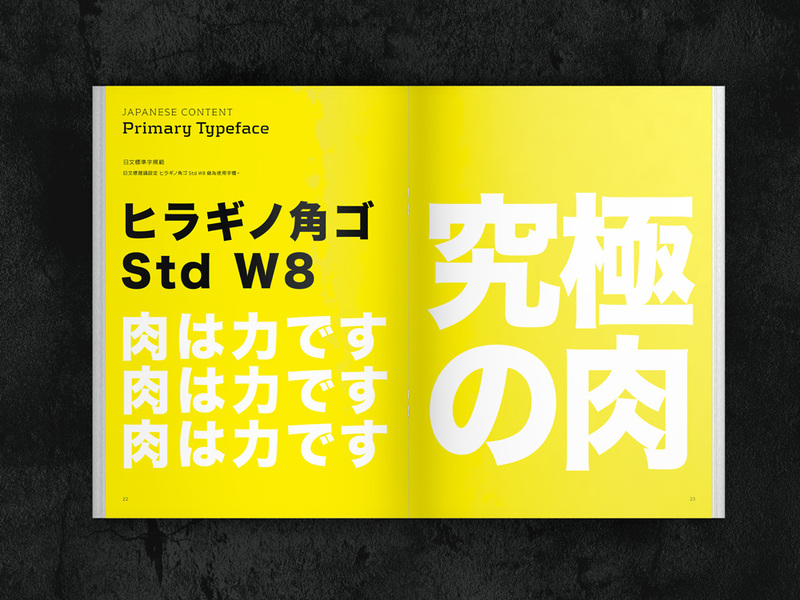 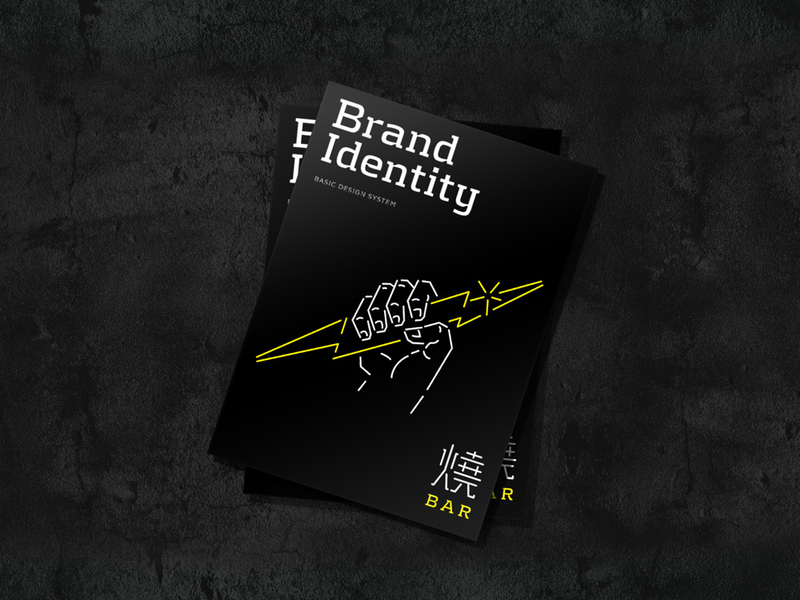 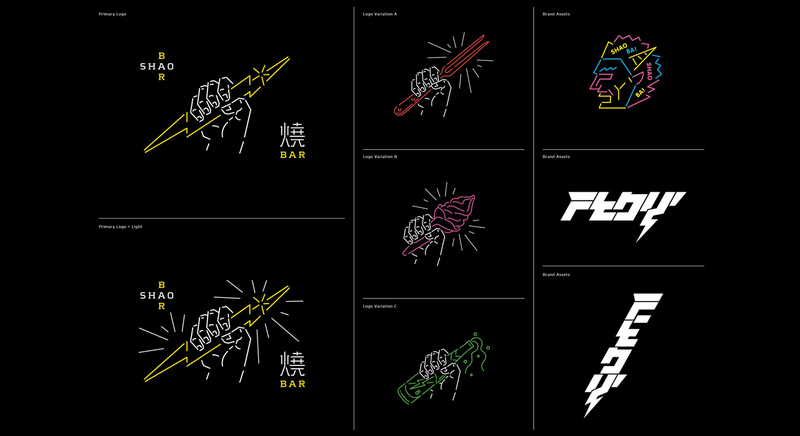 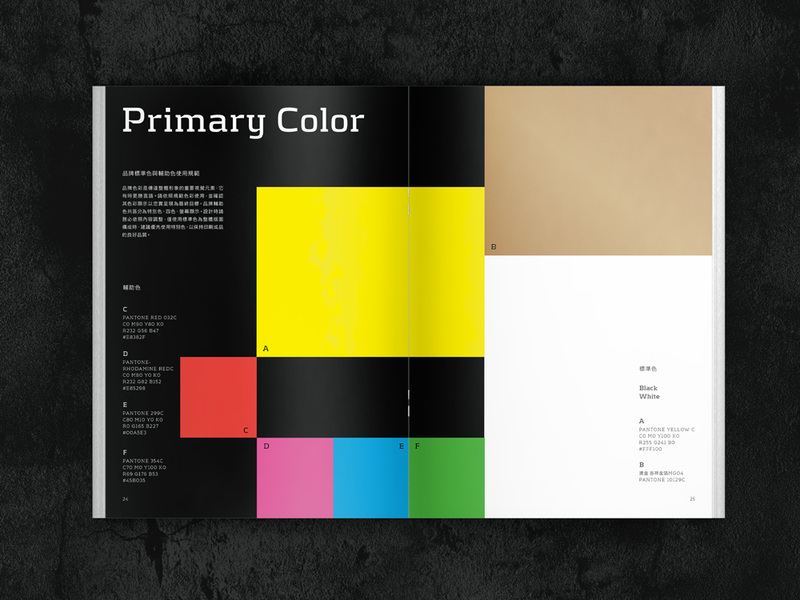 The image and hand of God of thunder are the main visual identity of Shao Bar. 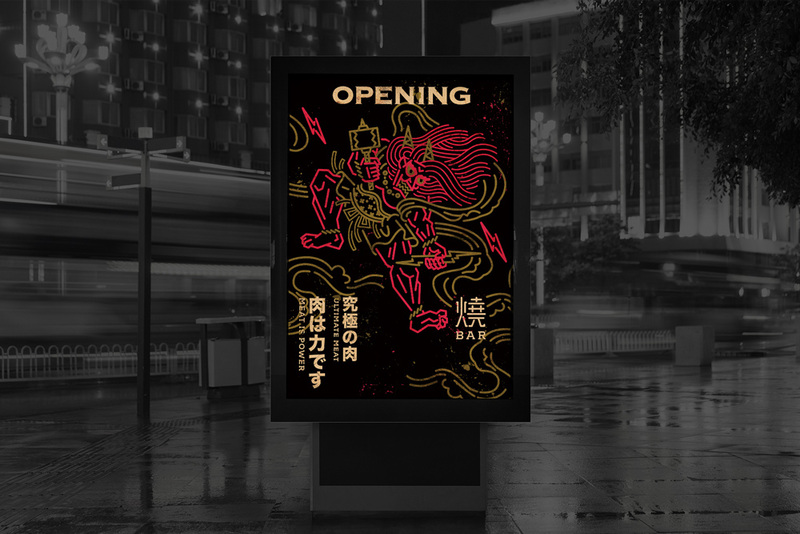 To deepen viewer’s impression of Taiwanese grilled meat, Mandarin Phonetic Symbols are chosen to develop visual experiment: ㄕㄠ and ㄅㄚˋ are the phonetic symbols from Shao Bar, and these lines form the side face of God of thunder. 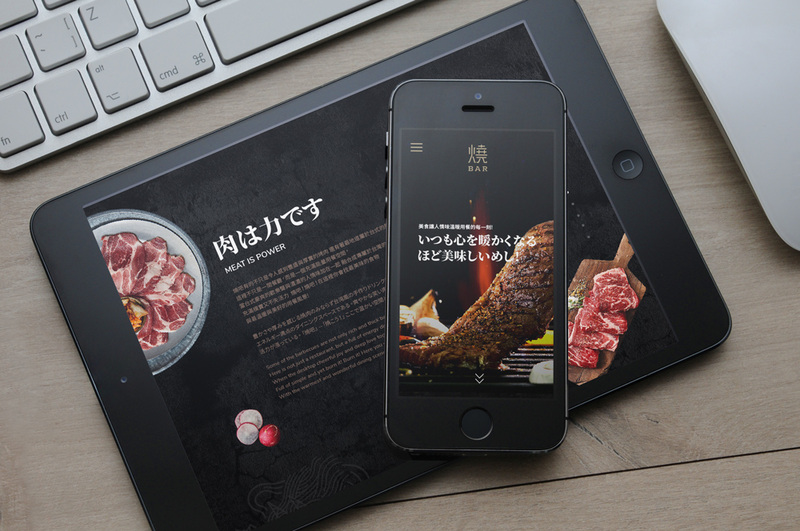 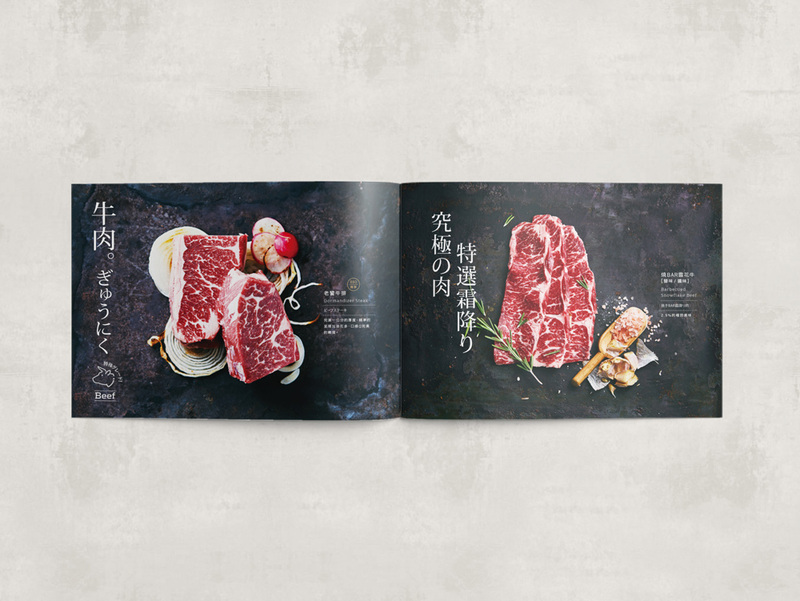 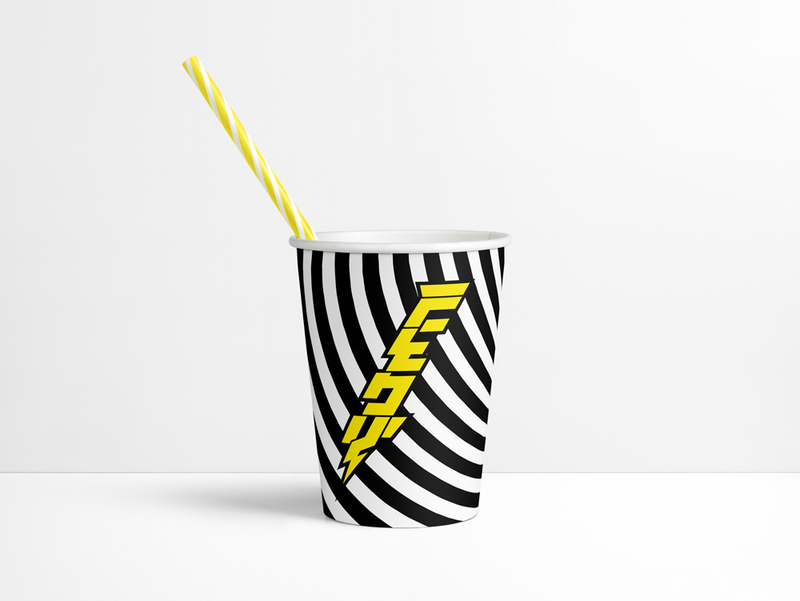 The visual language shows a audacious and bold tension, applying creativities to different food triggers, directly and quickly communicating the enthusiastic meat culture of Shao Bar.